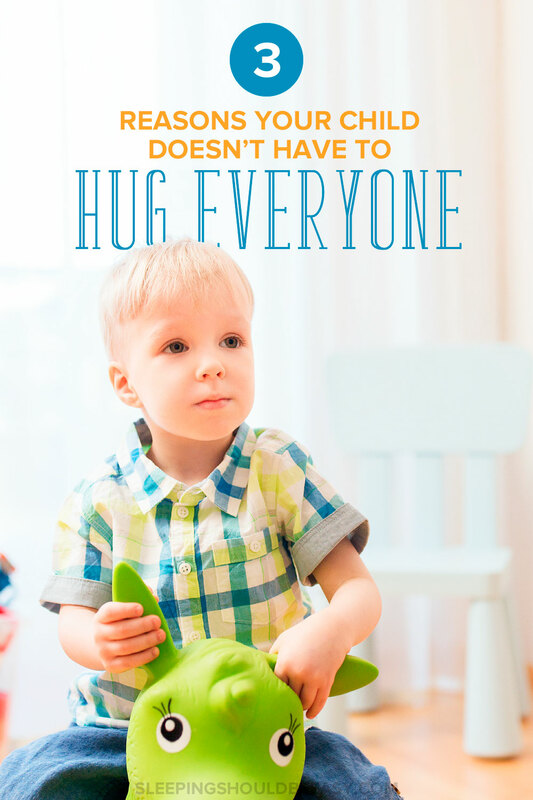 It might seem polite to have kids hug others, even family and friends, but here are 3 reasons your child doesn’t have to hug everyone. “Later,” my toddler agreed. My brother-in-law requested a high-five instead, which my son much preferred. In my family, you hug everyone, especially adults. We have huge gatherings with aunts, uncles and cousins galore. Every time people walk in, everyone stands up to hug and kiss the newcomers. Sometimes before they’ve even set their purses or coats down. This wasn’t limited to just hellos either—the same hugging at farewells happened again. Considering that that is the norm in my family, I may just be the black sheep among huggers and kissers. I understand where this multitude of greetings comes from: it’s a sign of respect and manners. Imagine hosting a party and your guest gives you a head nod and a “‘Sup?” on their way to the drinks. Besides manners, it’s important show respect to the elders. These are the people who keep the family unit cohesive (and prepare the food). I get that. Kids—especially the little ones—can feel overwhelmed when entering a house full of people. They don’t see some of these folks regularly, too. Adults can adapt to these situations. Kids—not so much. For children, especially those who feel easily anxious in large crowds and new settings, forcing hugs and kisses don’t help them better adjust. In fact, it can do the opposite: Frighten and overwhelm them and their sudden lack of personal space. I want my son to know he has a right to personal space even among puckered lips and outstretched arms. We may not be able to avoid the large crowds of people swarming to greet us, but at least he won’t have to hug them against his will. 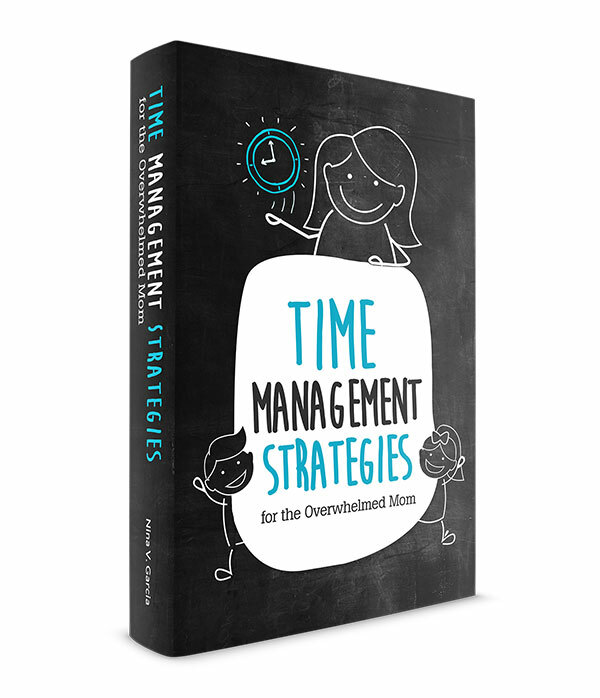 Get tips about what to do when adults overwhelm your child. Children already feel like they have little say in our adult world—their bodies should one of the most important aspects of their lives they can make decisions about. I want my toddler to know he has absolute jurisdiction over his body. I’m really not anti-hugging. I actually love that my family is the hugging type and enjoy seeing my toddler greet everyone. But when I was a kid, I honestly didn’t want to hug everyone. Not only did it feel like an obligation, I also felt like some adults weren’t even that excited to greet me. I want my toddler to show manners and respect and express genuine interest in those around him. Forcing hugs makes greetings an obligation rather than a genuine joy of seeing others. Model proper behavior. When you want your kid to say hi to everyone, it’s best to lead by example. Usually with my toddler in tow, I try to say hi to everyone so he sees that saying hello is a pleasant experience. Hype up the crowd. On our way to a party, we talk about the people we’ll see. “Remember how your aunt taught you that song about fingers and toes?” or “Grandma will be there; she visited us last week and said we’ll see her soon?” This way, he gets excited about the people he’ll see. Tell him what to expect. We also describe the party: “Lots of people will be there, and they’ll all come to the door when we walk in.” With descriptions, he’ll have a better idea of what to expect. Ask him first. Once he’s finally at the party and people are clamoring to hug him, I ask his permission first. For instance, I’ll say, “Want to give your cousin a hug?” or “Let’s go say ‘hi’ to your aunt.” The tone is always one where he can refuse rather than one of forced commands. Offer an alternative. My brother-in-law extended a high-five of a hug. Giving alternatives offers my toddler a chance to say hello without full-on hugging someone. Besides high-fives, we suggest waving his hand, saying “hi” or giving hugs later. I want to mix expectations and manners with respecting my toddler’s space and decisions. I would hate for my family to feel disrespected because I don’t force him to greet everyone. But I also wouldn’t want to disregard my toddler’s feelings. Instead, I’d like him to grow up willingly giving hugs—or high-fives—all on his own. Do You Know What to Do when Your Child Acts Out in Public? Does your family have expectations that kids should hug everyone? Have you run into problems where your kids would rather not hug and greet others? I think the high five is perfectly acceptable. I agree what you said that kids need to know it’s ok to say no, especially if it’s matters regarding the body! This is such an interesting post. I come from a family that doesn’t hug when we see each other at gatherings and MAYBE hug when we leave. My husband’s family, on the other hand, are not only huggers…but kissers too! Uggh! Coming from a no-touch family you can imagine how difficult it was for me to accept this. Fortunately we have moved from kissing on the lips (oh my gosh!) to kissing on the cheek. I still wish we could give European kisses instead. Maybe I can work that out with his family one day. Don’t get me wrong. I am an affectionate person. Actually, as my mother is getting older, she will hug when one of us departs; very uncommon given her “no touch” policy. She kisses and hugs Oster all of the time, though. In my side of the family, hugging little kids is the only exception to the policy. It’s interesting because ALL of the kids in our families ARE huggers. And if a child doesn’t want to hug, the parent usually asks if they want to give a hug and if the child says no, they do not push it. A high five is a great alternative (or a fist bump). I appreciate you sharing your ideas with how you handle the family expectations and what you do to prepare for the visit beforehand. Hopefully Oster won’t have the touch-phobia with adult family members that my mom and dad instilled in me and my siblings. We’re all about the European kisses too, where they’re not even real kisses, it’s more like a cheek bump haha. There definitely seems to be varying degrees of comfort levels, whether by culture, family or even region. Hugs and/or kisses are required for grandparents, but that’s it. We always let Baguette have alternatives (high-fives, blowing kisses, even just waving) with other people. And even with grandparents, we only require them upon departure. She needs a little warm-up time when she first sees people, but is very affectionate when it’s time to go. Frankly, she doesn’t always even want to kiss me, although she wants to snuggle with me about 75% of the time we’re together. With other people’s children, I always ask if I can have a hug. If they say no, I always say, “Okay, can we shake hands?” I think the child ought to be able to control that much of their lives. But neither Mr. Sandwich nor I think it’s asking too much to give Grandma or Grandpa a hug when saying goodbye. I have always hated the “come give me a kiss,” when it comes to children and when adults make their children, “Give Aunt Jan a kiss,” I always say that it is not necessary. Whuy do we want kids to do it when adults aren’t even that friendly. then, adults try to make the children feel guilty when affection is withheld. It is all about what adults want: “they want a kiss from a great little kid,” and they never think about the child. DH comes from a very reserved family, so I can see him respecting the child on this one. It doesn’t, however, help children understand the boundaries of family and their own bodies and who they should actually be showing affection to and when/why. I guess, it bothers me even more because adults areen’t even that Huggy” in my family, but they want the kids (little babies) to be. Great discussion–such conundrums! My family when I was growing up were not physically demonstrative, but my sister and I value the hugs and holding and rocking and kissing. Yet we do NOT force the weebot to hug or kiss friends/relatives; we model behavior and let them do what we want. We’ve taught them to shake hands (“nice to meet you” :>), high five, low five, and give the “knuck” (knuckles, followed by a finger explosion–who knew, a year ago???) And are fortunate that the extended family doesn’t take the behavior of two year-olds personally. I wish I’d had those choices. Because of all the compulsory hugging I endured as a child, I’m not much of hugger. I hate to admit that I gave my kids fewer hugs than I should have because of my aversion to it. But at least they understand why. Really great post. My family is a big on the ritual hug and kiss, so much so that leaving can take up to half an hour because if any conversation disrupted the ritual, then we hug and kiss again. I love this about my family, but I’ve noticed Lane doesn’t know what to make of it. Usually, when he turns his head away from a kiss, I make an excuse that he’s sleepy, but I love your solution: being honest (he doesn’t want to give a kiss) and giving my child options (if he doesn’t want to kiss, maybe he’d be willing to do a high-five). Thank you for sharing the great advice! Oh man we have the same ritual. It’s a running joke that if you plan to leave at a certain time from a family party, schedule in an extra 20 minutes because that’s how long it’ll take you to make your rounds and say goodbye to everybody! I’ve told people that my little guy was sleepy/tired/not in the mood as an excuse too but usually I try to make sure he really was feeling those things and that I wasn’t just making something up to make the other person feel better. But more often than not he really isn’t in the mood and I have to be honest with the other person! And, sometimes adults can act very offended when/if your child does not want to lavish affection. Oh well. I’ll find out soon enough. We have a family reunion on the 16th and my Ganja bacha will be 6mo. This is a great post. Our little one doesn’t care for hugging anybody other than mom and dad. And I find that perfectly acceptable. She sees us do it with our families and friends. I figure once she is ready, she will do it on her own. Frankly, for me it is much more important to respect her space and her feelings and to teach her that when it comes to her body, the decision should always be hers, rather than to worry whether grandma and grandpa get a hug every time. They’ll get over it, but she is learning that what she wants and thinks and feels matters. If somebody asks for a hug, I tell them the truth. If they keep insisting or make an attempt on their own, I interfere. But that rarely happens. I agree. It is so much more important for our little ones to learn to respect their own opinions and comfort level with things than to not offend someone. Besides concerns about child sexual abuse and so forth, I want my kids to be capable of saying no as teens and young adults as well and I think that body self respect starts now. Thanks for your tips on talking to the little ones in advance about what to expect at the gathering. I don’t think I had ever thought about doing that, but it’s just one more way to show respect to your kid! This is so important, thanks for writing this. I want my son to know his body is his own, and that it is ok to say no to the types of touching that make him uncomfortable. My family is similar to yours, but my husband and I have vowed never to force Simon into unwanted kisses or hugs, because some people are just less physical and huggy than others. I never want him to run into a situation with an adult who wants to be inappropriately close to him, and for him to feel he needs to comply because they are a grown up. However, I do role-model hugs when greeting those we are close to. So well put. I agree on every level. Thank you for a great post. Right on, Jamie! It’s funny how it’s the adults who get upset or offended when kids don’t want to hug them.